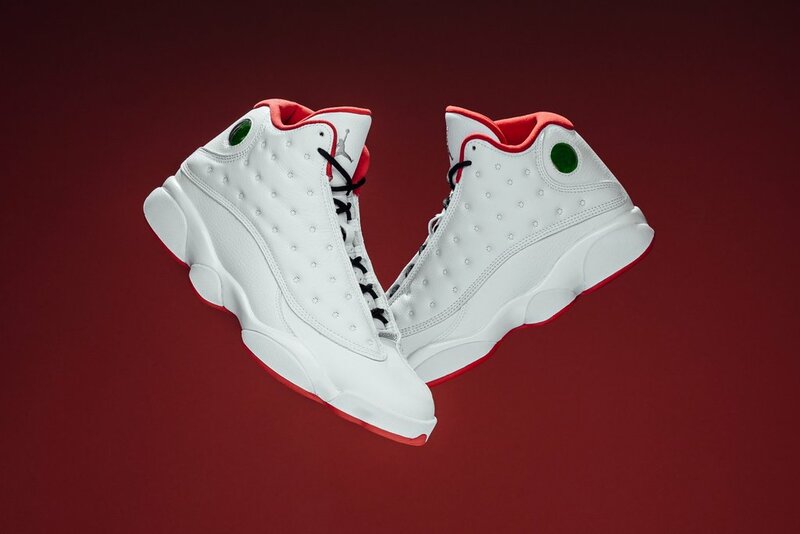 Michael Jordan’s historic days in Chicago is celebrated with this upcoming release of the Air Jordan 13 ‘History of Flight’. The Air Jordan 13 ‘History of Flight’ comes with a White tumbled leather upper offset by the Red hits noted on the sole unit, lining, and branding. 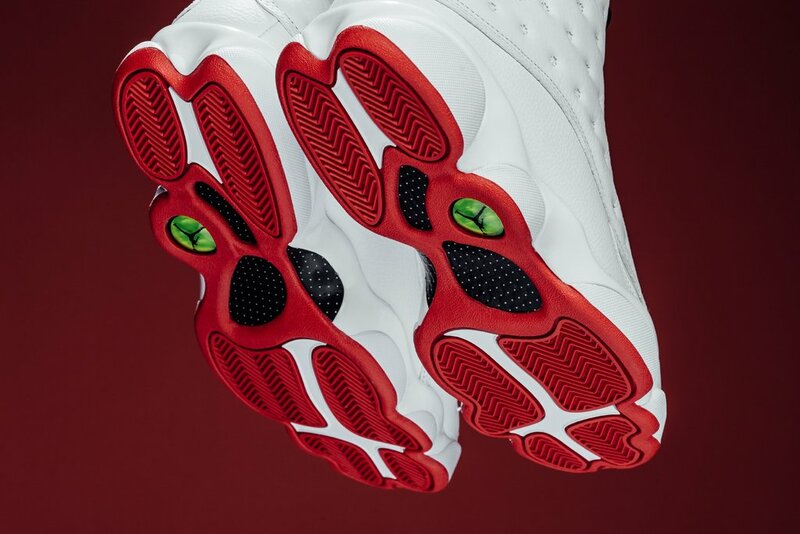 White laces, the traditional hologram on the lateral side of the ankle, the White midsole and the Metallic Silver Jumpman on the tongue round out the main features on the shoe. 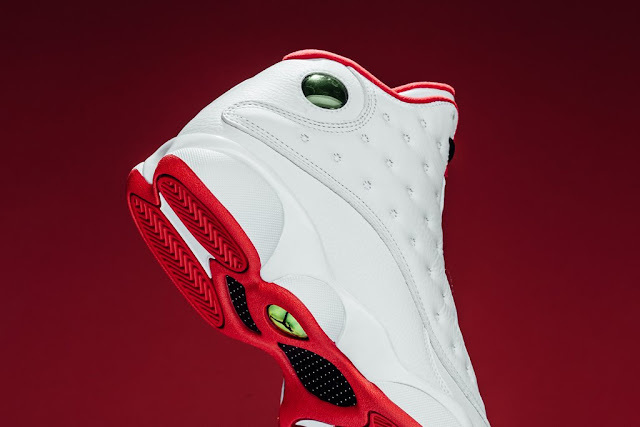 This is the same colour scheme used on all the other retros from the History of Flight series but this is the first time one of those models releases to the public. The Air Jordan 13 ‘History of Flight’ will drop on Saturday, 22 of July 2017 at selected retailers.